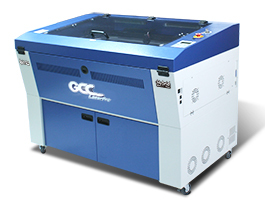 The GCC LaserPro MG380Hybrid is equipped with metal laser tube and glass laser tube at the same time which allows users to produce superior engraving and cutting work pieces. 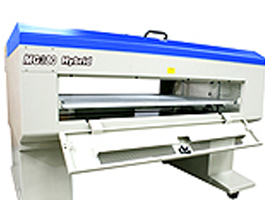 This all in one machine saves your storage space and maximises your profits. 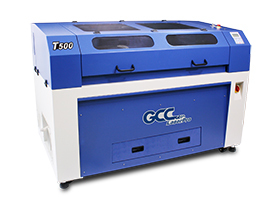 Users of the MG380 Hybrid will always have an edge thanks to the numerous uniquely innovative and user friendly features. 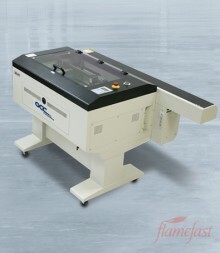 Focus Lens Standard 2.0', optional 1.5", 3"
Fume Extraction System External exhaust system with minimum flow rate 640m3/h required to connect to 8-inch or 4-inch connection port on machine. 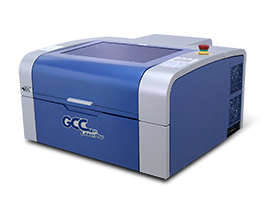 Designed for simplifying complex tasks, the GCC LaserPro MG380Hybrid's user-friendly interface is a great facilitator to provide powerful function settings. 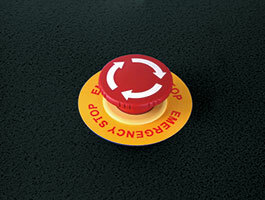 Big red button located on the top of the machine allows operators to stop the laser and the motion carriage immediately to provide a highly safe operational enviroment. 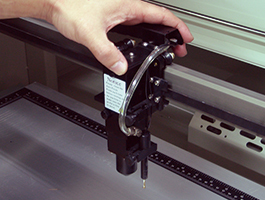 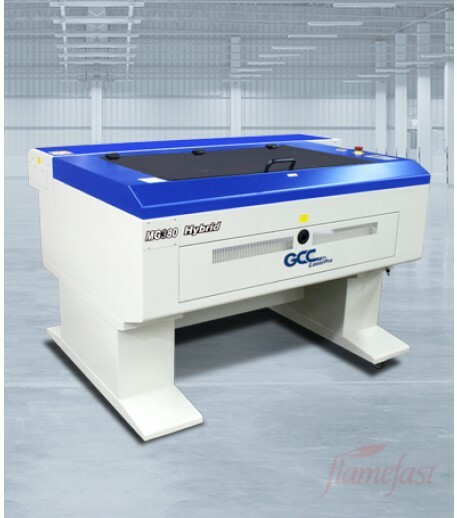 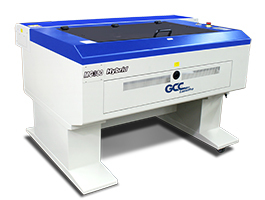 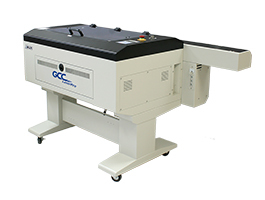 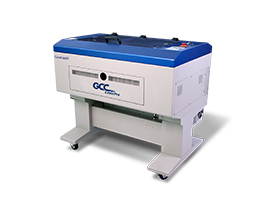 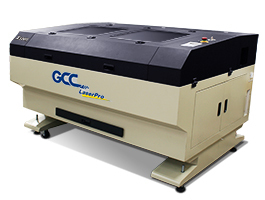 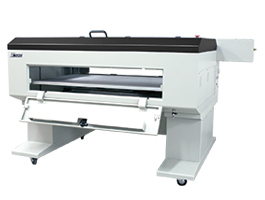 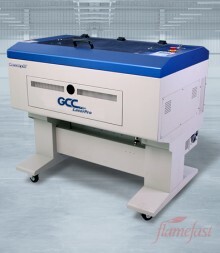 The GCC LaserPro MG380 Hybrid utilizes a high speed closed-loop DC servo motor for precise and fast carriage movement to ensure exceptionally accurate cutting outputs. 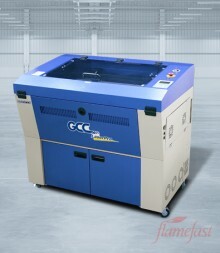 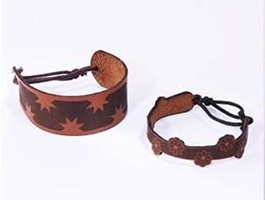 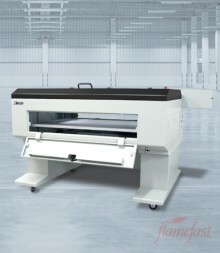 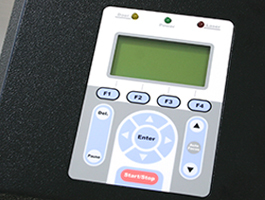 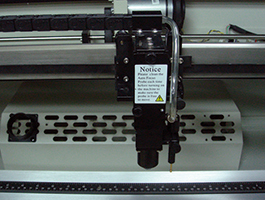 Patented AutoFoucus adjusts the laser engraver to the precise focal point on the engraving area automatically. 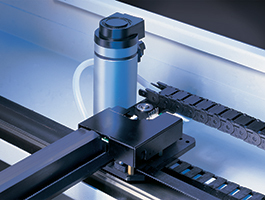 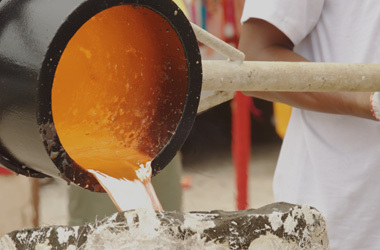 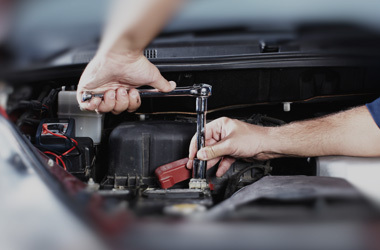 The Autofocus is the most effective lens-focusing tool that prevents human error. 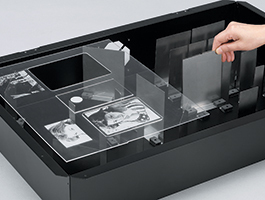 This innovative design is composed of a ventilation box, a honeycomb table and easily rearrangeable magnetic supporting pieces. 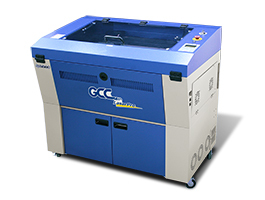 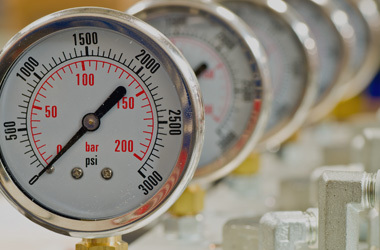 The SmartBOX™ provides great cutting quality and remarkably enhances air extraction.